The Cyberface2 is a general-purpose head-mounted display system that uses two 4-inch diagonal high-resolution color LCD video panels for extremely wide angle stereoscopic Virtual Reality. The Cyberface2 is LEEP Systems' first complete color system and is the first LCD-based system to offer true RGB color for enhanced color crispness. 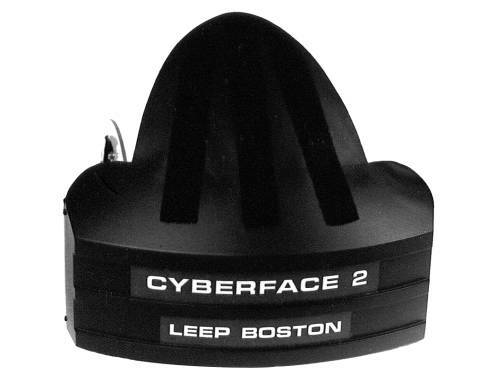 To this day, the Cyberface2 offers the widest field of view ever commercially available. 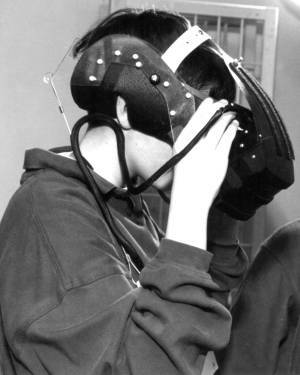 With appropriate formatting of sound a nd picture, Cyberface2 immerses the wearer in extremely wide angle, interactive, computer-generated worlds. The images displayed by the Cyberface2 are good enough for chemists' visualization of viruses and other molecules, and for architects' visualization of unbuilt spaces and structures. Very Wide Field of View — Approximately 145 Degrees Horizontal. Binaural Audio for accurate telepresence. Featherweight Chest Counterpoise for maximum comfort. RGB Component input PAL or NTSC at the flip of a switch. By diverging the optical axes by 25 degrees, the Cyberface2 achieves a 25° greater lateral field. 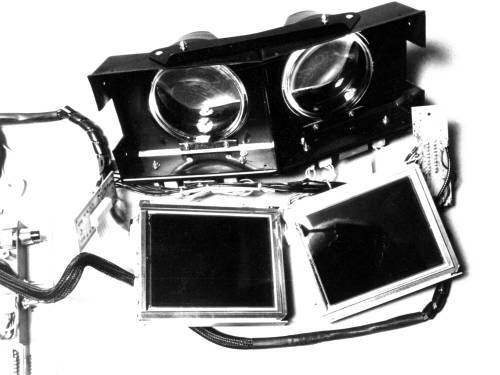 The optical system differs from that used in the original Cyberface (and in all other commercial, and most experimental, head-mounted display systems that use the original LEEP optics) in that it provides a wider field of view for each eye as well as a 25-degree wider total lateral field of view. The result is a sensible expansion of the view, with very little indication of restricted view at the sides. This gives enhanced immersion to the scene. The Cyberface2 makes a complete stereoscopic and bynaural system for remote sight and sound in laboratory and field conditions. The LEEP Telehead is the next generation of the puppet. The Telehead is a remote dual-camera platform that provides wide-angle stereo video and binaural audio sound for telepresence. 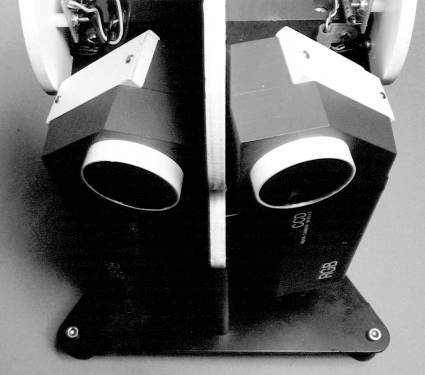 In telepresence applications, the Telehead's video camera lenses provide the orthoscopic formatting.